I'm pretty sure most people have heard of the song 'Gangnam Style' by Psy! Basically, Gangnam is a place in Seoul which is known for it's trendiness. Memebox always gets me when boxes have really unusual themes :P This was definitely the case with this box! Oh~ Oh~Oh~ Oppa Gangnam Style! This got my eyes wide open! 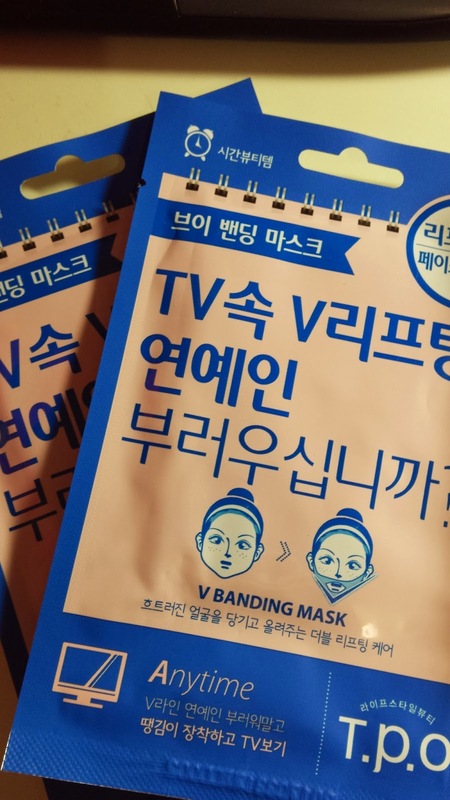 A band mask to help create a "V-Line" on your face! haha, pretty much the "V-line" is what all asians aspire to have :) This mask in particular focuses on the jaw and you hook it onto your ears. Easily one of the most interesting products in this box. 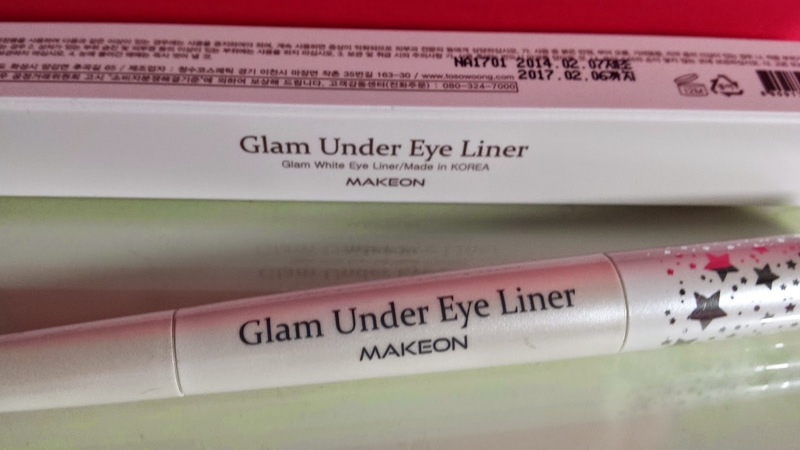 This Glam under liner is PERFECT for me! As someone who uses white eyeliner ALL the time, this is just want i want in a box! I don't think i can live without white eyeliner - i use it more than black! I love putting white eyeliner on the bottom of my eyes to make that baby, plump look. 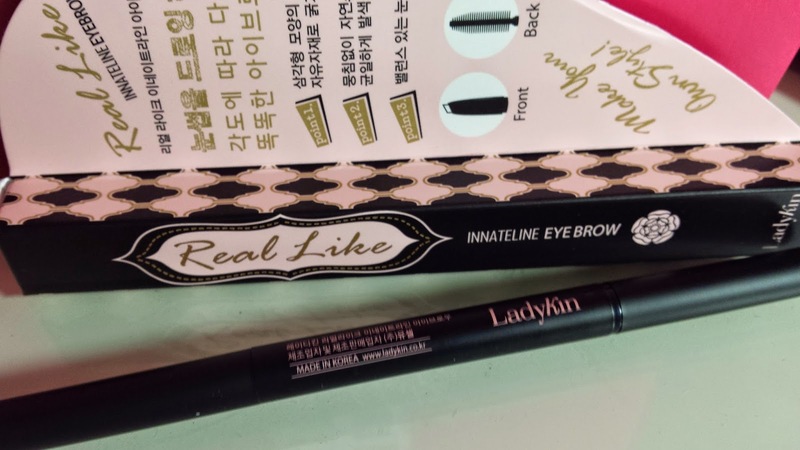 This opens on both sides - one side gives you a brown eyeliner and the other a really big white, glittery shade.This retails for US $15. Yay this was another product i was looking forward to getting (it was featured in the teaser)! I got the shade in orange, but it was also available in vampire and blood. This product is divided into an oil base and colored tint layer, so that one application will be enough to highlight your lips for a nice look! You have to shake the bottle first before you apply it so that it is mixed. This also smellsss great! 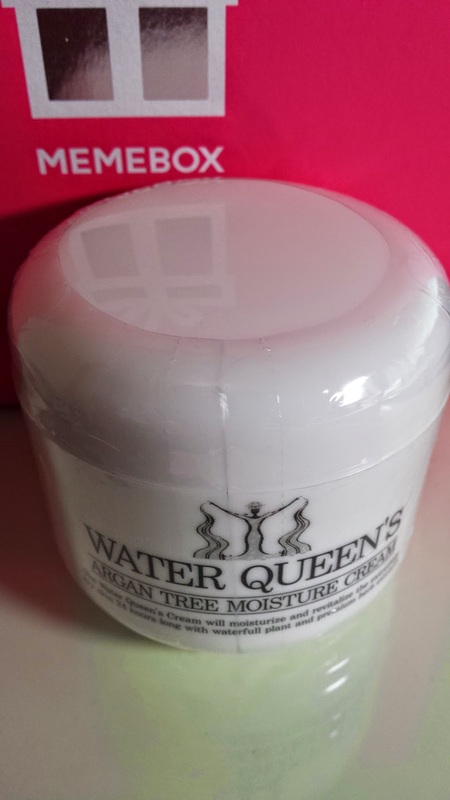 This product sells for US $28. 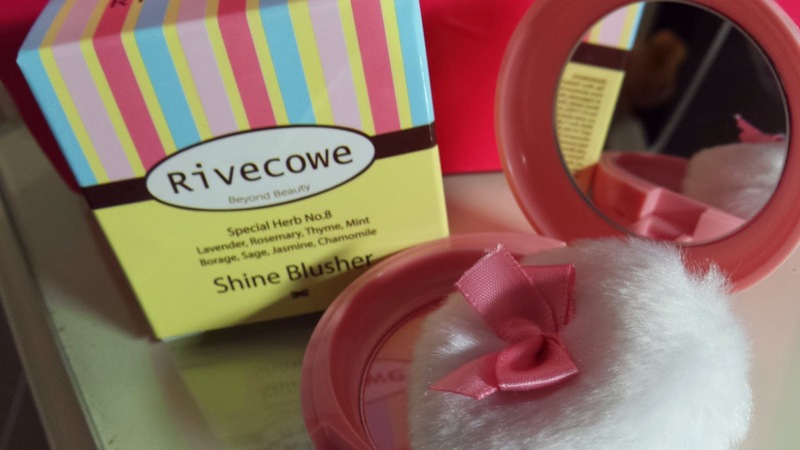 Cute blusher from Rivercowe which i got in 01 Shine Pink! Comes with a cute blush puff as well. Blushes are something i really love cos they brighten up your overall face. This sells for US $14. 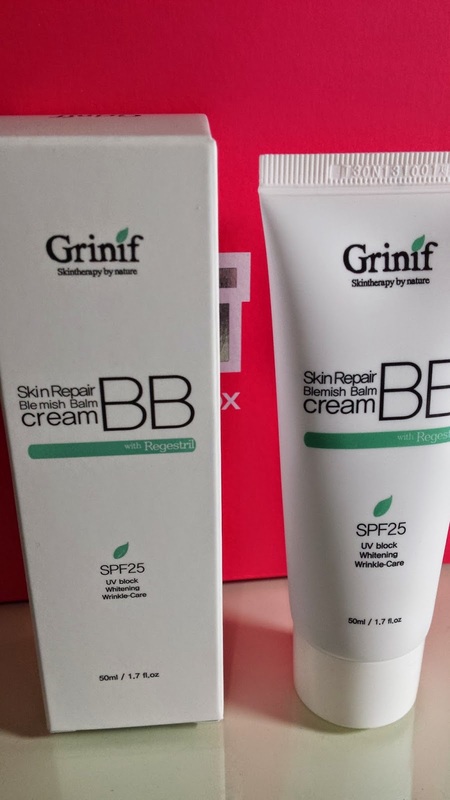 Not sure how good the BB cream would be though. 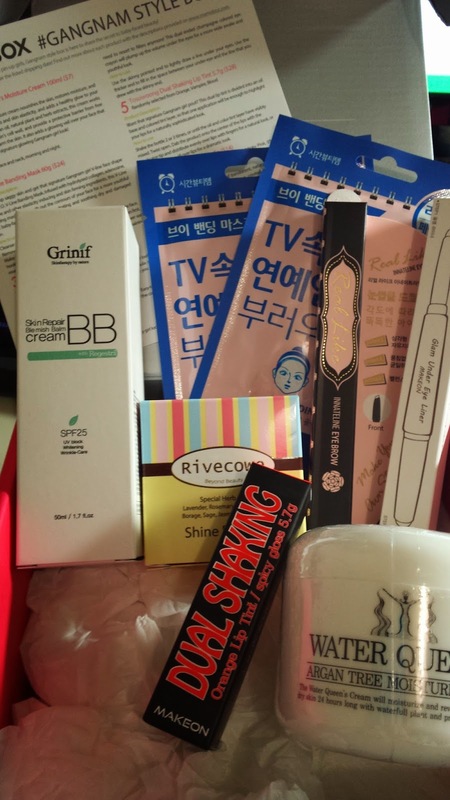 I quite like this box cos of the interesting products :) Something a little different! 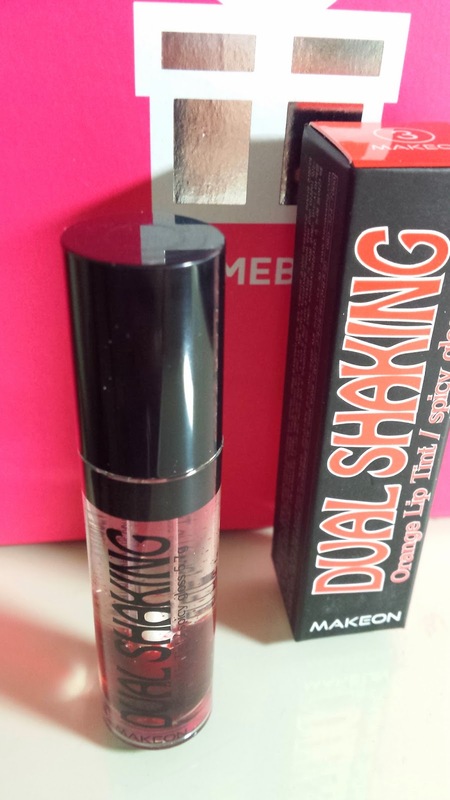 The dual shaking lip tint is so unique too! i think Memebox did a great job by making this job fit the "gangnam style" theme! haha I guess a lot of us didn't know what to expect - so i think this is either a hit or miss depending on your style!